Published on June 27, 2010 in Elections, Gender, General T&T, International, People's Partnership, Politics and UNC. 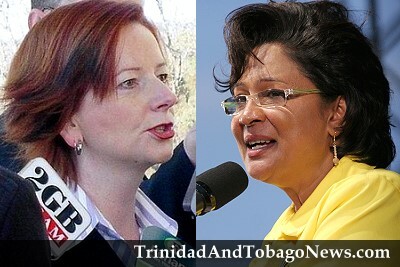 2 Comments Tags: Australia, Julia Gillard, Kamla Persad-Bissessar, Politics, Prime Minister, T&T Govt. Recent political events in T&T and Australia have brought to the fore the stark reality that there has to be something magical and/or lucky in number 24—Queen. On 24 January 2010, United National Congress (UNC) supporters voted Mrs. Kamla Persad-Bissessar as the new political leader of the UNC. Published on June 27, 2010 in corruption, India, International and Law. 20 Comments Tags: Bhopal, Delhi, Disaster, Dow Chemicals, Oil Spill. TWO weeks ago in India, seven local managers who worked with Union Carbide at its Bhopal plant in 1984 were sentenced to two years imprisonment and each fined US$2,100. There was outrage outside the Delhi court, and understandably so. Those of us who recall that night of horror that was followed by years of additional pain, deaths, disfiguration and death-dealing afflictions, will never forget it. The Bhopal disaster proved that all men (and women) are not created equal. In death, they are even more unequal.